It’s time for some Zord power! You know the drill, ranger fans: a new show, a new team of rangers, and a new bunch of zords to combine and transform into the Megazord. With Beast Morphers on the way, that’s happening all over again—but there’s a bit of a twist on the toy front this time, thanks to the arrival of Hasbro’s era of Power Rangers. 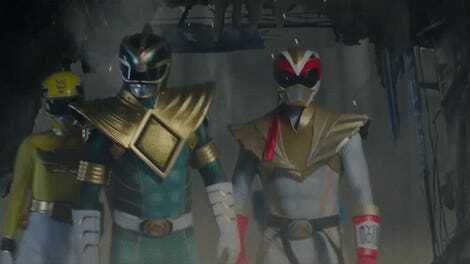 Beast Morphers marks the first Power Rangers series released under the franchise’s new owners, Hasbro—which doesn’t just affect the show itself, it affects the toys, which are now also under Hasbro’s auspices. Ahead of New York Toy Fair, the company has been revealing its plans for the Rangerverse of toys in bits and parts, from roleplay accessories to action figures, but io9 can now exclusively reveal what is sure to be one of the highlights of the first waves of Beast Morphers merchandise: the transforming Zords you’ll be able to collect to form the mightiest weapon in the Beast Morpher team’s arsenal: the Beast-X Megazord and Beast-X Ultrazord. Arriving in Fall 2019, the new Zords fit into two categories: three of them are dual converting Zords that can transform between vehicle and animal modes, while two are triple changing Zords with vehicle, animal, and individual Robotic modes of their own. The Beast Wheeler Zord in Gorilla Mode. The Beast Wheeler Zord in Wheeler Mode. The Beast Chopper Zord, in Jackrabbit Mode. The Beast Chopper Zord in Chopper Mode. The Beast Jet Zord in Scarab Mode. The Beast Jet Zord in Jet Mode. 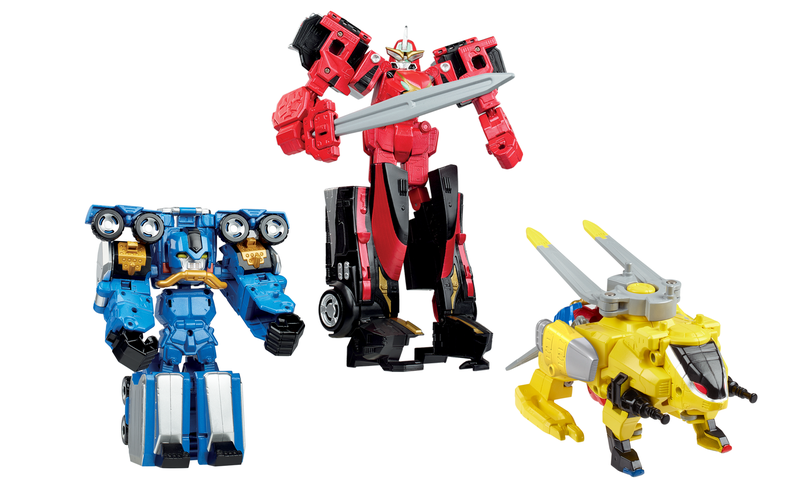 Let’s kick off with the three dual-changing Zords, which will retail for $25 apiece. The Blue Ranger’s Beast Wheeler Zord can turn into both a mechanized Gorilla and a “wheeler” truck form, while the Yellow Ranger’s Beast Chopper transforms between a Jackrabbit and, you guessed it, an attack helicopter. They’re joined by the mysterious Beast Jet Zord, which can switch between Scarab and Jet modes. The Red Ranger’s Beast Racer, in Robot Mode. The Beast Racer in Cheetah Mode. The Beast Racer in its Racer Mode. The Gold Ranger’s Beast Wrecker, in Wrecker Mode. While each separate Zord has its own play functions, the real morphinominal magic happens when you merge them all together: combining the Zords of the Red, Blue, and Yellow Rangers will form the Beast X-Megazord, which you can check out below, while adding the Beast Wrecker and the Beast Jet Zord into the mix will allow kids to form the ultimate Beast-X Ultrazord. The Beast-X Megazord, made when you combine the Beast Wheeler, Beast Chopper, and Beast Racer. Got a younger kid (or are a kid at heart yourself) and want to introduce them to the wild world of Power Rangers Zords? Well, it’s not Beast Morphers, but we can also exclusively reveal the next Zord in Playskool’s line of Power Rangers Heroes Zords for young fans: the legendary Dragon Thunderzord from later seasons of the original Mighty Morphin’ Power Rangers. Playskool Heroes’ Power Rangers Dragon Thunderzord, complete with Dragon Shield Red Ranger figure. Clocking in at a whopping 14 inches tall, the Playskool Dragon Thunderzord includes lights, sounds and moving arms and wings, all activated by pressing down on the Zord’s tail. If you place the included 3-inch tall version of the Red Ranger (complete with famous Dragon Shield) on the Zord, he’ll activate a secret pop-up projectile launcher to barrage any unfortunate foes with! The Playskool Dragon Thunderzord will also release in fall alongside the other Beast Morphers Zords, and set you back $30. Looks like later this year is gonna be a hell of a time to be a Power Rangers fan!